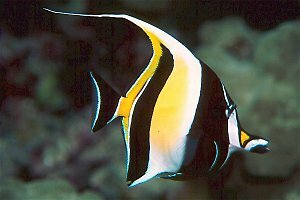 This website is named for a type of fish calledthe Moorish Idol (Zanclus cornutus). The Hawaiian name for this fish is the kihikihi. These fish are commonly seen while snorkeling here and most other tropical areas around the world. To learn more about the kihikihi, check out this fact sheet from the Waikiki Aquarium.